Your Ruby Range Adventure Guides/Interpreters are well qualified with certification that far exceeds the requirements set by local authorities. Each lead guide has an extensive outdoor background, formal training, and leadership experience. Most hold degrees or diplomas in Outdoor Pursuits. Certification may include Wilderness First Aid, Swift Water Rescue and Instructor Level Moving Water Canoeing. Further, they each attend our own in house "Guide School" prior to the start of each season. These are the people you would want to mentor your children. In fact more than one couple has asked if they could take the guides from their trip home? Our river, trail and sightseeing guides provide coaching and advice on many aspects of your trip. You are sure to recognize their enthusiasm for their work. Their love for the wilderness will bring out the sense of adventure in you. Most work year round in the adventure tourism business and have been with us for many seasons. At the age of ten years, I made my first trip to Canada and I was thrilled on exploring this country ever since. As a student in Germany, I cycled the Small Carpathian Mountains, Masuria and the fjords and Fjell plateaus of Norway on adventurous trips. Later the magnificence of the Alps rose my passion for climbing and mountaineering. Since I was fascinated by the Dolomites I also traversed these mountains on touring skies. 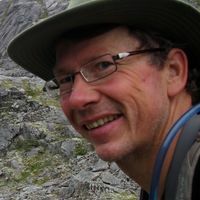 As an organizing member of the Trekcologne hiking club in the Cologne area (Germany) I planned and led day hikes and multi-day trips with great enthusiasm. After all, I turned my passion for the outdoors into a profession. I completed the Adventure Tourism Program at TRU, Kamloops. 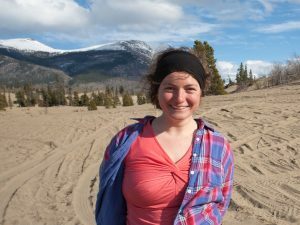 Mountaineering and climbing trips in the Rocky Mountains, hiking the West Coast Trail and in the Kluane National Park and kayak and canoe trips have enriched my experience. By the combination of working in my dream job in the country of my dreams, I am happy to share my experience with the guests and I'm looking forward to sharing new adventures with them on upcoming trips. I’m outdoor-addicted and live in the perfect spot for that. My favorites are hiking, running, cross-country skiing, mountain-biking, canoeing, road biking, and and and. Facing the overwhelming scenery and fauna of the Antarctic continent and the Arctic Ocean during my geology studies my spirit was branded and constantly longing for more. Trips to New Zealand and Nepal, as well as guiding-jobs in the Caribbean, South Georgia and The Falkland Islands, followed, but Canada – The Yukon – That’s it! Everything feels right being in the northern American wilderness. I can appreciate every single moment of life. Nothing is wasted. I’m already happy sitting on a mountain peak, listening to birds, inhaling the dewy scent of grass, and enjoying the surrounding panorama with the sun in my face. Life is great – a wonderful gift!!! I want to make the best of it and share my enthusiasm with other people. 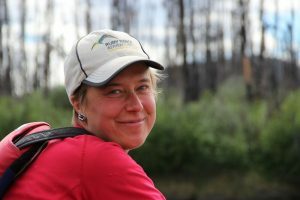 Silke has been guiding summer and winter tours in the Yukon for the last three years. After extensive travels in Asia, Australia, North and Central America, she found a home in the beautiful wilderness of Canada's North. She is fascinated with all kinds of outdoor activities and hiking, biking, canoeing, and skiing are her favourites. Meeting new people, spending time together, sharing stories and adventures are what she enjoys most and made her turn her passion for the outdoors into a profession. 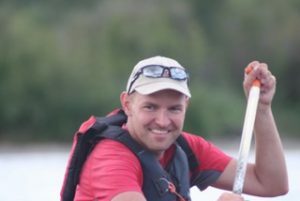 Libor has 10+ years of experience guiding in the Yukon, Alaska and the Canadian Rockies - hiking, backpacking, climbing (including Alaska's tallest mountain - Mt. McKinley / Denali in 2014), canoeing and his favourite sea kayaking trips. In winter he combines skiing tours in the Rockies and guiding in warmer places like Philippines and Malaysia. Kenny has been a naturalist/guide since 2010 in many unique environments throughout North America from the Desert Southwest to Great White North. He earned his BS and BA in Computer Science and German and worked in the field for 3 years before dropping everything and devoting his life to working out-of-doors. 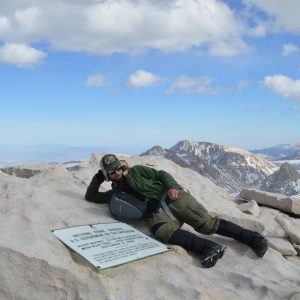 He’s an avid touring cyclist, and backpacker/mountaineer, hot-springer, and possesses a love for ornithology, (big picture) macro-geology, Western US History, and indigenous medicine. Some goals for the short term would be to finish his cabin in Homer, AK, raft the Grand Canyon, Backcountry Ice Stake the 260 mile Matanuska River, tour the winter route from Anchorage to Nome, Alaska by snow bicycle, and hike the Torngat.